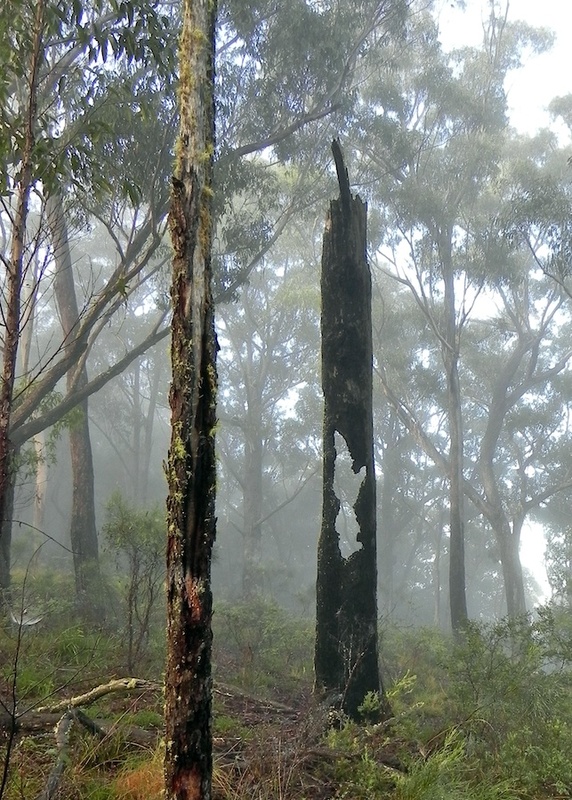 A bushfire has artistically cut a piece from a tree trunk with an expert fretsaw-like flame. [No, that’s mist, not smoke, in the background]. Oh goodie ,, I really enjoy your bushwalks. This shot if great.